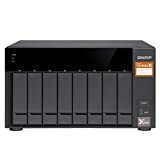 I’m not sure how QNAP categorizes it’s NAS lineups, because even the “entry” level model in the announcement boasts 10GbE and impressive performance numbers from its quad core Alpine AL-324 SoC. 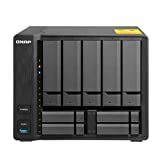 QNAP has been on the cutting edge in the network storage industry with an array of high performance NAS models with all the bells and whistles for your small to medium size business at a price that won’t break the bank. And now the bar is raised even higher with these great new solutions from QNAP.